Winners concentrate on an ambitious composition and a groundbreaking documentary. Selena Garcia is excited to become a school teacher, like many of UNT's earliest students. Alexandra Ponette-González studies how post oak and blackjack oak trees can improve air quality. Two alums leverage innovation and education to create a thriving logistics business. The scientist, engineer, comedian, author and inventor makes science entertaining and accessible. Athletics inducts six greats, adds three Fred McCain awardees, shines in golf and track. Two debate alums created many memories on campus more than 70 years ago. Readers weigh on on their UNT favorites. For as long as he can remember, Justin Kugler wanted to be an astronaut. This May, UNT celebrated commencement at Apogee Stadium -- as one bronze Eagle looked on. 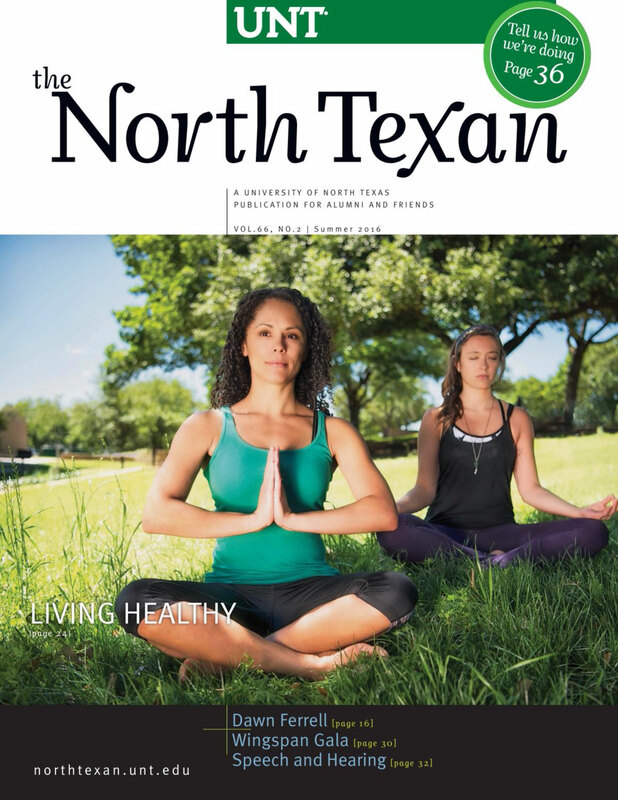 UNT builds on its 125 years of excellence and momentum. UNT's Grammy-nominated One O'Clock Lab Band travels to Australia. Alumni respond to growing need to help patients young and old communicate and be heard. Four TAMS students were named 2016 Barry M. Goldwater Scholars.